Just a few hours are now left for the official announcement of Galaxy Note 8, and we are already aware of almost everything about the phone. Just like the Galaxy S8 and the S8+, the Note 8 is coming in various color options like Midnight Black, Deep Sea Blue, Maple Gold, etc. 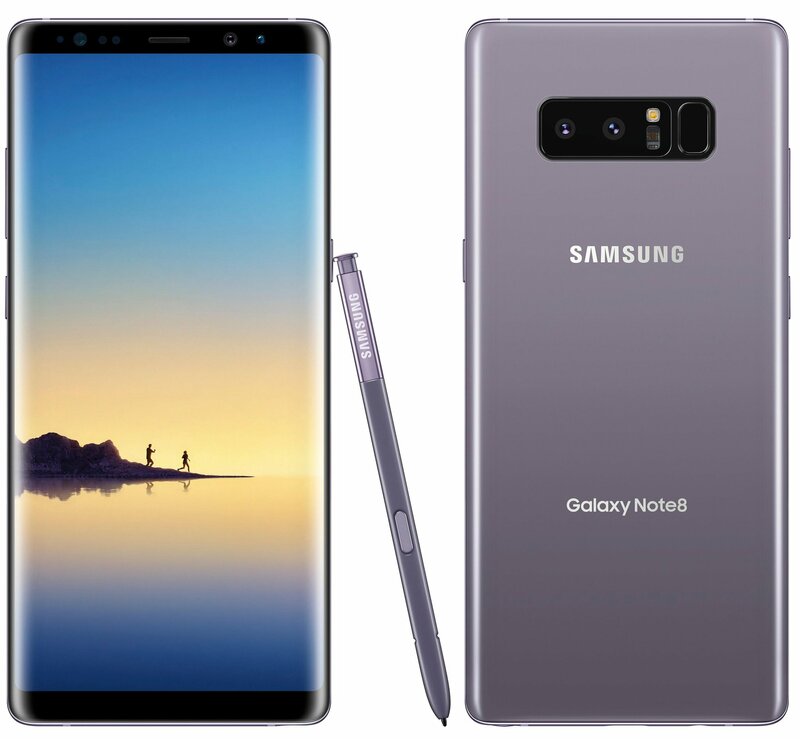 Thanks to Evan Blass, we have already seen the Midnight Black, Maple Gold, and Deep Sea Blue Note 8 via the renders. Today, Evan revealed yet another color variant of the phone. It’s the Orchid Gray Samsung Galaxy Note 8. As you can see in the image above, the phone looks beautiful in the Orchid Gray color and those who have seen the Orchid Gray Galaxy S8 know very well how good this color looks in reality, thanks to that Glass back. Just like all the other color variants, there is similar colored S-Pen. And yes, no to forget that the camera module remains black for every color variant, whether it is the Deep Sea Blue, Orchid Gray or Maple Gold. It is good to know that Samsung has no plans to ditch the 3.5mm headphone jack. Talking about the final specifications of the phone, there is a 6.3-inch Quad-HD Super AMOLED Infinity display, Snapdragon 835 processor, 6GB RAM, 64/128GB internal storage, 3,300mAh battery, dual 12MP sensors, S-Pen, USB Type-C, etc. The Galaxy Note 8 is going to cost nearly €1,000 in Europe when it starts to ship in September.